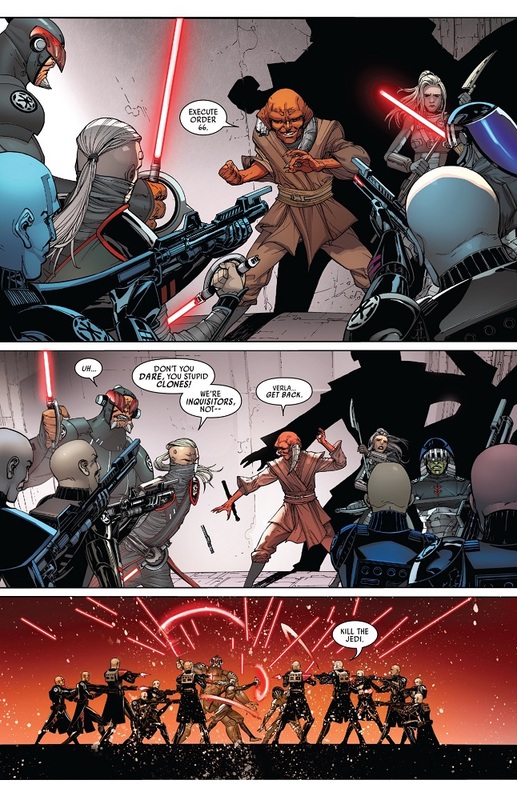 Barr orders the execution of order 66 to the clones escorting Inquisitor’s, discards his own lightsaber and positions himself and Verla behind the Inquisitor’s. A frenzy of laser fire from the trooper’s rain in on the Inquisitors. Crimson blades moving in unison they try to protect themselves from the onslaught. Some of them are cut down by the laser fire as Verla and Barr plot their escape. 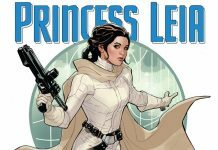 Verla realises that they are next when the clones are done with the Inquisitor’s, but Barr has chosen her because of her ‘gift’. He puts his arm around her waist and reminds her of his teachings. 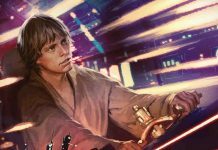 They leap together away from harm and Barr retrieves his lightsaber and they make for the tunnel to escape. Verla must hide until the battle is over, find allies and leave the planet. 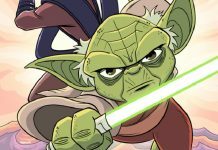 Barr is convinced there are Jedi that have survived, she must find one to complete her training. His path lies in another direction. At an interchange in the tunnel, they part along their owns paths. 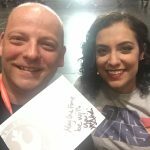 Only three Inquisitor’s remain, Sixth Brother and Ninth Sister. Using their blades and the force they are holding the troopers back. A force push takes out 5 troopers and opens an exit for them. As they turn to flee, the Sixth Brother severs the Ninth Sisters right leg off at the knee She falls to the floor cursing him, he asks her to keep the clones busy and that she was always his favourite. Vader is faced by Mon Calamari guards who are vowed to protect their king. He makes swift work of them with his lightsaber and proceeds in to the chamber beyond. He faces King Lee-Char who has a blaster held towards him. He orders Vader to stop and fires, He lifts his blade and deflects the shot back at its source and it strikes the King’s arm. Vader informs Tarkin that the king is now in his custody. Tarkin requests his exact location, not to send a shuttle though, but asks him to move the king to a window. Tarkin orders a Lieutenant to withdraw troops from the co-ordinates given and commands that the Star Destroyers all fire on that location from orbit. The barrage is brutal, destroying the underwater cities of Mon Cala as the king is forced to watch on. The king stands resolute and he will not be surrendering to the Imperial invasion, he knows that the Mon Calamari are central to the destruction of the Empire and it will not happen without him. 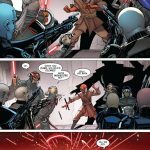 Vader reminds the king he can kill him with the movement of his finger and that he is wrong. A silhouetted figure appears at the door and advises that will not happen. 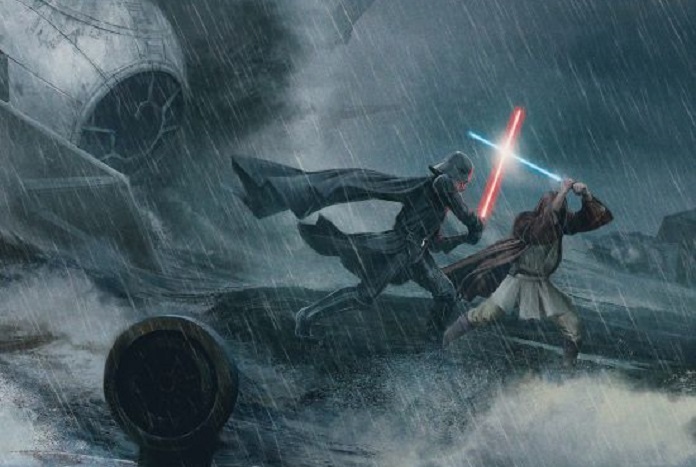 Jedi Master Barr ignites his blue lightsaber and faces Vader, who also ignites his blade. 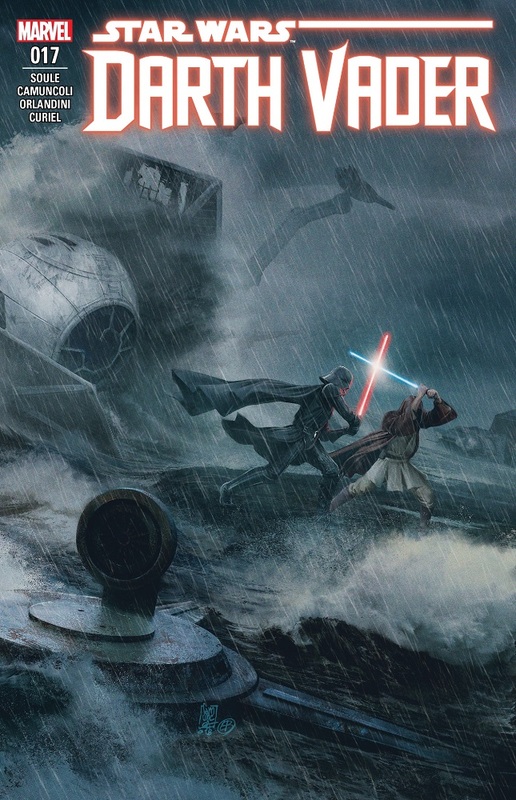 As the bombardment continues, Barr and Vader start their duel. Zeran Town has gone offline, that’s now the fifth of the northern settlements destroyed, are the Imperials trying to wipe them off the planet? The bombardment is increasing in intensity, the southern hemisphere is untouched for now. Their shields are holding, but they need to prepare to de-link them and spilt up, until then they will continue to fight. Lee-Char observes a holographic display of the damage the planet is sustaining and cannot believe his eyes. 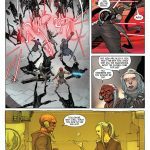 Barr and Vader continue their fight. Vader asks why Barr has come here, his death will not achieve anything, but he senses pride in the Jedi. Barr is proud that his actions will lead to the Empire crumbling to ash. Vader now realises that Barr assassinated the ambassador when he arrived. 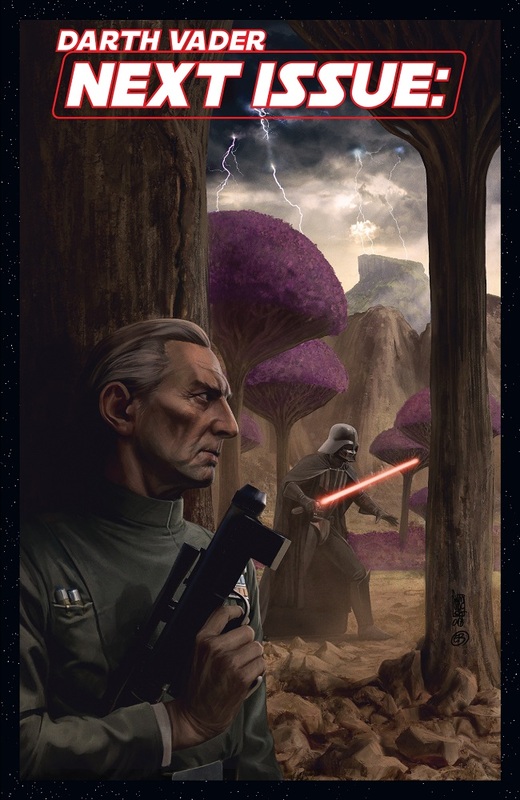 He admits to the attack, negotiations may have borne fruit for an alliance with the Empire and he could not allow that to happen, he needed to escalate the proceedings. The king has heard all this and realises that Barr is the reason his people are dying, but Barr is a Jedi? He turns to a comm station and hails his forces and orders the immediate cease fire and to stand down. Raddus cannot believe what his king has ordered. He opens communication to Tarkin and offers his planets surrender. Tarkin accepts, he will send a shuttle for him, but the bombardment will continue. Raddus looks on as the fire from orbit intensifies again and is now approaching their location in the depths of the sea. He orders the launch of their ships and head for orbit, they are capital ships, but they need to break away to fight another day. Barr laughs as he fights with Vader. The king is incensed, his planet is dying, and Barr has told him this would save the galaxy. He did not lie; his vision was about events in decades to come and again decades later. His peoples vessels will be a symbol of freedom and defiance, and it will all start from King Lee-char. Billions of people are dying, but Barr knows this will save trillions in the future. Even Vader questions Barr being a Jedi. The Mon Calamari cruisers break the surface of the oceans and make orbit. Heavy fire comes from the Star Destroyers in orbit taking heavy losses, but the survivors are soon out of range. Tarkin calls for the bombardment to cease. Only three ships survive as they flee, they will find the escaping ships eventually. Verla hides with Quarren warriors waiting for her chance to escape. King Lee-Char is escorted away by stormtroopers and claims that this is not over, and Mon Cala will rise again. Vader stands over the slain body of Barr and disagrees, there is no Mon Cala, it is gone, there is only the Empire. Issue 17 has 2 awesome covers. 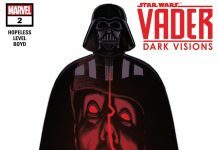 The Giuseppe Camuncoli direct cover is a great piece of artwork showing the duel between Vader and Barr. It is highly detailed and is a piece worthy of a frame. 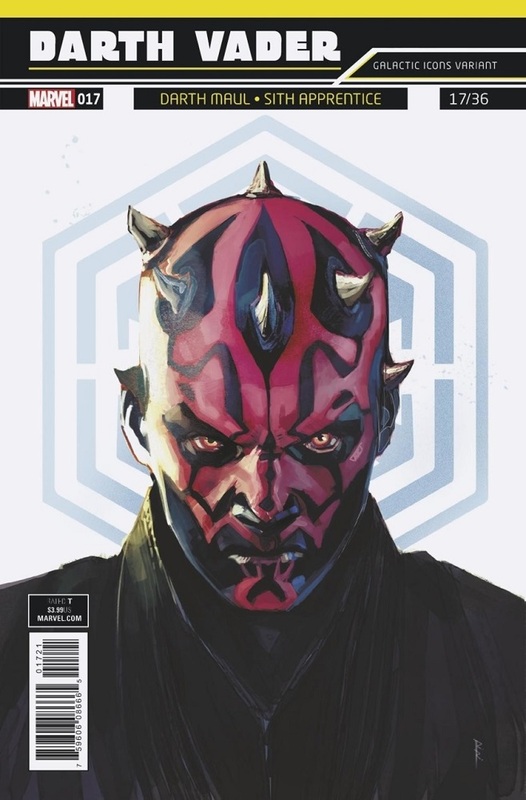 The Galactic Icons variant cover from Rod Reis features Darth Maul. A character that is quite in vogue currently for reasons I won’t go into here. I must admit I wish this had been available before meeting Ray Park a few weeks ago. It is one comic that I think I need to get signed. Light side or dark side? This is a question that always seems to go hand in hand with Star Wars movies and publications. 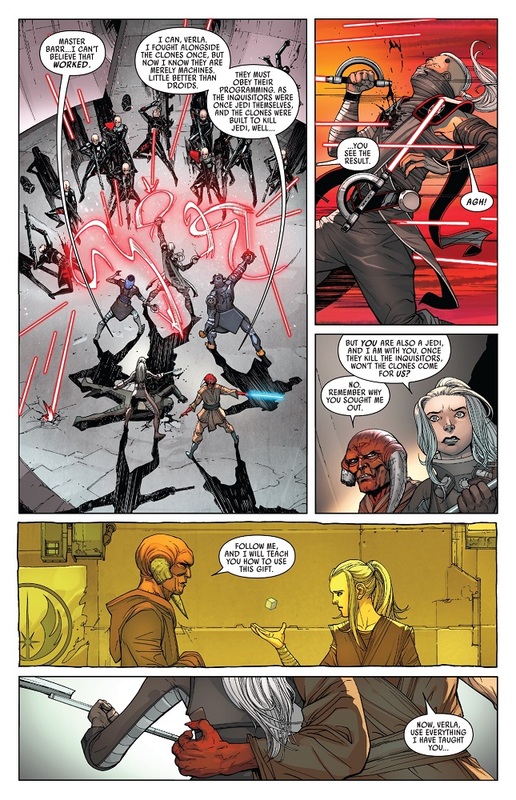 I think Charles Soule has hit the nail on the head with this story arc of what I see as a grey Jedi. It has been a very clever an interesting set of events, that has not ceased to surprise me during its path. 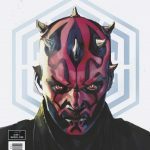 Each issue has given us a suitable cliff hanger but has not just developed Vader as a character and even shown his vulnerabilities, it has shown how others have impacted the stories we already know occur in the future of the galaxy. Barr alludes to his vision of decades to come and decades after that as well. 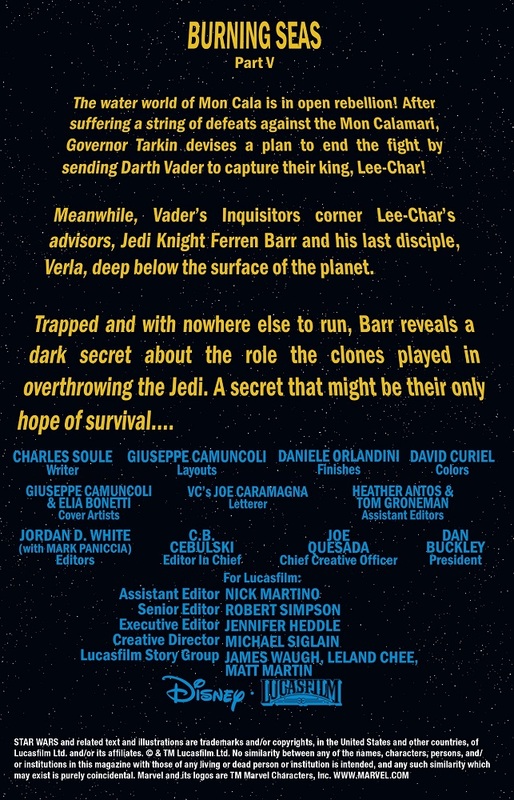 We all know the Mon Cal involvement at Endor and the cruiser under the command of Admiral Holdo during the resistance escape to Crait, so I assume this is what Barr has foreseen? 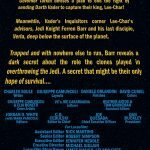 I know previously I did question that the main Star Wars title also featured a story set around King Lee-Char and the planet of Mon Cala. These stories could have been run separately and no one would have noticed, but there were subtle touches in there that referred to each other. So, although not necessary, I do now understand the timing. 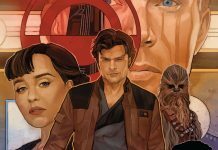 I know all good things come to an end, like Poe Dameron with issue 31 in September, but I really hope this team stays together on this title and it continues to run for some time to come. Artwork, storyline, colours, covers and everything else has been consistently high and probably rating 8 or 9 out of 10 most issues. This issue gets a 10 from me for the brilliant conclusion the story arc. 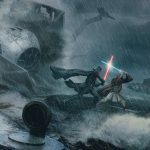 I must say I am very intrigued by the artwork for the next issue. 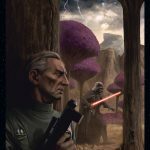 Tarkin possibly hunting Vader? What the…..! This issue was released on 13th June 2018 and is available via the Marvel App and all good comic book stores. This issue retails at $3.99.